Written and Media by Miguel Fabela. 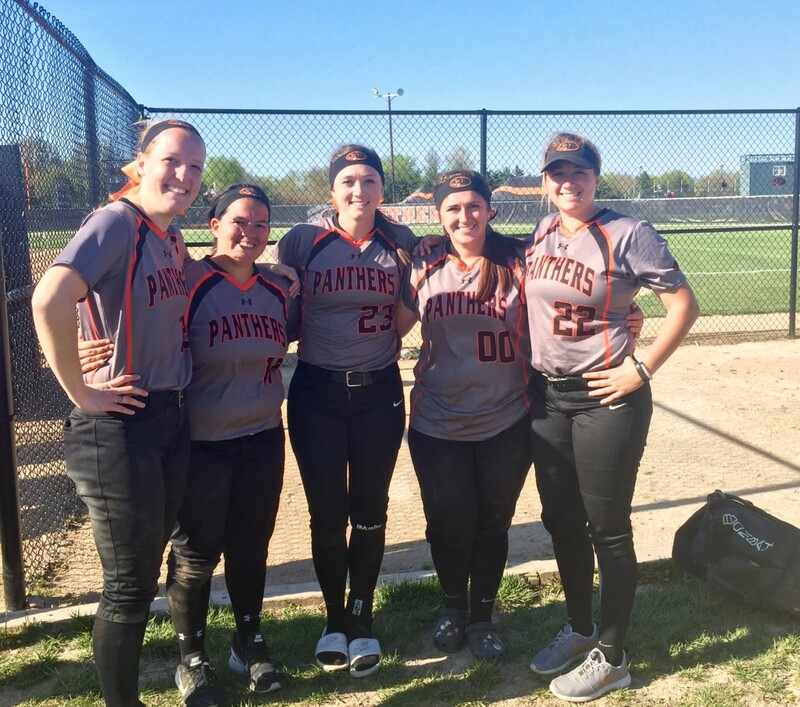 The senior day ceremony for the Greenville College softball team was a day to remember! After this spring, the team will be losing some important seniors from the roster: Bryn McKie, Laney Thacker, Shannon Elbe, Danielle Helms and Andrea Martin. This was the last weekend home doubleheader of their careers and they went out with a fight. The Panthers split with Eureka College, the first place team in the SLIAC with a record of 9-1. Eureka was undefeated in the conference until they squared up with the Panthers’ squad. It came down to two well-played ball games that kept the crowd on the edge of their seats. The first game was a 2-1 win for Greenville. Caitie Opp was the starter on the mound for the Panthers and put out a great performance. Opp is fourth of the SLIAC leaders in earned runs averaged with a 3.32 ERA. She has been a reliable asset for the Panthers this season and has more years to grow. The game was scoreless until the fifth inning where the Red Devils took the lead after Brianna Anderson was subbed in for Opp after making the bases loaded. Anderson’s first pitch hit the batter and allowed Eureka to go up 1-0. This did not shake Anderson’s determination as she struck out the next batter and got the Panthers out of the sticky situation with only one run scored on them. Once again the Panthers answered to adversity offensively as a team. McKie started the inning out with a double to centerfield. Then Tiffany Samsoe singled allowing McKie to reach third. Thacker singled to right field off of an error bringing in McKie for the first run tying the game 1-1. Martin RBI singled to advance Samsoe to home for the leading run putting the Panthers on top 2-1 at the end of the fifth inning. The Panthers’ defense held off the Red Devils for the remainder of the game with some solid pitching by Anderson. The second game was a different ending for the Panthers as they did not come out on the winning side. They battled another great game losing to the number one team in the conference by only one run (2-1). The Panthers’ offense was led by McKie, who went three for four at the plate. She set up Greenville’s only run in the second game with a triple to left-center field. McKie made it happen on senior day, giving the Panthers life when they needed it the most. Unfortunately, GC could not find a rhythm with their hitting which led to their eventual defeat. 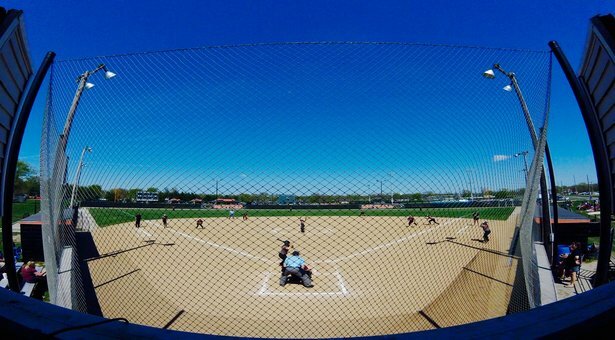 Greenville College softball is now tied with Fontbonne University for second in the conference with the record 8-2. Both teams are behind Eureka College who is now 9-1 after facing the Panthers. The Lady Panthers head to Fontbonne University on Wednesday at 5p.m. and 7p.m. to battle for second place rights. Go out and support your Lady Panthers!